Geely has revealed the name of its new MPV, the VF11, as well as new studio images of the vehicle, which was shown in concept form at Auto Shanghai last year. The people mover will be officially known as the Jiaji. Set to make its domestic market debut before the end of the year, the exterior of the final series production form remains identical to what was seen when it was first sighted via leaked images back in April, and expands on that offered via the teaser image set released by the automaker in September. 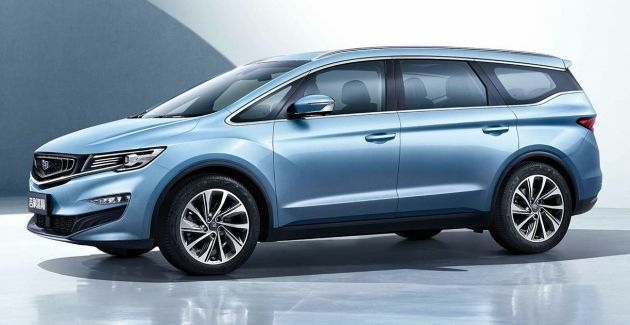 Exterior design cues on the three-row MPV include the brand’s ‘expanding cosmos’ grille, LED headlamps with a four-bar LED light arc array for daytime running lights, LED foglamps and a chrome trim strip – with Geely lettering – bridging the tail lamp clusters. No specifications were revealed, but it has previously been reported that the Jiaji measures in at 4,706 mm long, 1,909 mm wide and 1,664 mm tall, with a wheelbase length of 2,805 mm. Supposedly, the Jiaji will be available in a choice of five-, six- or seven-seater options at launch. Reported powertrains for the Jiaji include a 1.5 litre turbocharged direct-injection four-cylinder engine offering 177 hp, which is essentially the Geely and Volvo co-developed unit already seen on the Binyue SUV, in that application offering 174 hp and 255 Nm of torque paired with a seven-speed, dual-clutch automatic transmission. There’s also a plug-in hybrid version, which will also utilise a 1.5 litre turbo mill paired with an electric motor. A full electric version will complete the variant line-up, although that was originally said to be set for introduction after the petrol and PHEV versions. We do know that the Jiaji will make its way here and will be badged as a Proton, essentially as a replacement for the Exora. 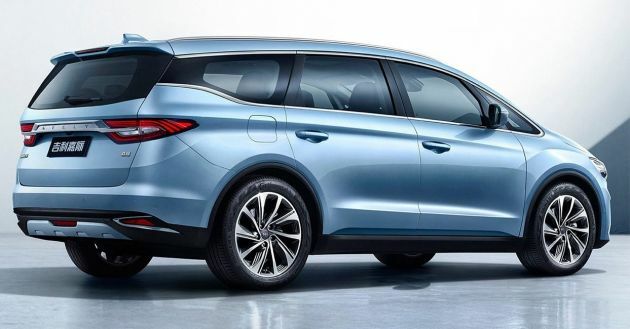 It was reported that the national automaker had secured the use of intellectual properties (IP) and the rights to manufacture and sell three Geely models – aside from the Boyue, which we all know as the Proton X70, there’s the SX11 SUV (the Binyue) and the VF11, the Jiaji. Nak tipu Miti lagi ? Geely masterplan is coming into effect. They are slowly showing new models to expose Malaysians. After few months, they will say they are terminating Persona, Saga, Exora, Suprima, Eritga, Perdana and Iriz. They will want to fully market Geely cars in Malaysia. Geely is so clever, they managed to get local car status overnight for just RM170 million. Do you guys know the x70 actually drinks petrol like there is no tomorrow? Pity the thousands of purchasers who buy without test driving and due diligence done. In China,the demand is so huge that people just buy inspite of technical repetitive issues,thinking ‘just send to workshop during warranty”. Good luck to those overly gung ho buyers who buy without even test driving and checking further. China cars may be abit cheaper but long term…you never forsee it may cost a bomb. I would place my hard earn money on Japanese cars. Aiyah like that tutuplah Proton and save our planet from pollution. Perodua tipu Miti selama 25 tahun. MITI dan Proton kena tipu Geely. Geely is supposed to build cars with Proton and not sell their Geely cars as rebadged Protons. What’s the problem bro? If the car meets international standards in term of safety , reliable and acceptable design and pricing, why not? Malaysian have been short changed by P2 for ages since Kancil. All rebadged Daihatsu cars. Are you the boss of Miti then ? DRB-Proton sudah tipu MITI dengan guna Geely. So are Maxus and Hyundai Grand Starex. But Toyota won in reliability contest. Thats why many Malaysian chose them. New launching product need time to test the reliability not the brand logo but many Malaysian (included u) used the brand logo to test. Next Geely will be Jiayou. P1 Jiayou! Not all of Proton’s new models will be based on existing Geely cars you know. Geely gave them more tools to develop a new lineup, not take away all of their independence. This oso is qualified for petrol subsidy. Geely > stupid PH rules. Got change again for fuel subsidy? Is Civic 1.5T a luxury car? Not in any sense of the word. So the same as Jiaji, unless Nobita is as clueless in automotive technology as he is with arithmetics. Very simple mah. All cars costing more than 100K ringgit or with engine capacity above 1,500 cc cannot get subsidy lor. This model will have good sales here if priced competitively. that 1.5l enjin qualify RON95 subsidi. Oh my, look at the tire size. the name has no commercial value at all. Geely Exora sounds a lot more attractive. It all depends if the target market find 嘉际 more meaningful and appealing than “Exora”. I think 嘉际 is a far more meaningful and elegant name. The price will spike.. and sell rates will down.. better improve SAFETY (airbag,vsc,disc brake) and COMFORT (seat adjustment, head-leg room, ada sistem audio video tv lah senang citer mcm alza advance…) baru jualan jadi hot.. paling penting HARGA..HARGA..HARGA coz’ this is malaysia..
Proton Janji. They really Janji will release such a nice MPV for Malaysian. Janji ditepati. Janji Laku, Janji Boleh dan Janji kali ini tiada kosong. Janji Proton untuk keluarkan Proton Janji adalah Janji untuk tukar Exora. Hope it sell well for This Proton Promise. This MPV, you slow slow wait lah. Admin, it is 3 cylinder engine, not L4. Dimension data is from Type approval document. Abang2 Malaysia check this out yo! New Exora is coming yo! 1.5L turbocharged engine yo! Handsome ada gaya yo! The following years after X70 launch are gonna be interesting to say the least!! back to old trick of rebadging, what is the r&d doing? Refine current model lah…You dunno ah??? Hope get a better name. Maybe Bang Aji? Or Biggy? hmm… something around wish or stream ? Lebar sikit dari vellfire wow!! !..harap harga bawah 80k..